It was in the wee hours of Christmas morning that my mother awoke to a stirring in the living room, followed by the exclamation, “Oh, Marvel! You did come!” The year was 1969, and at four, I was thoroughly obsessed with horses already. Of course, in San Francisco, you can’t actually keep a horse in your yard, so I lobbied for the next best thing–Marvel the Galloping Mustang. 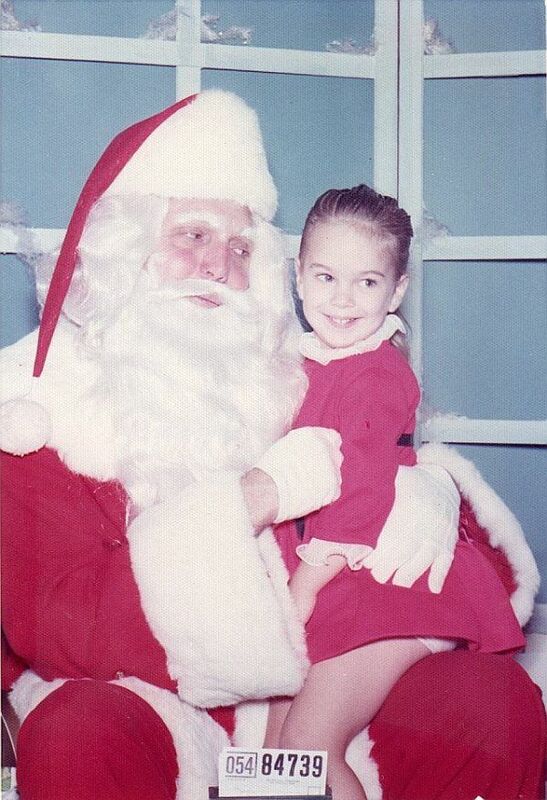 And as requested, Santa delivered. It’s a story my mom loves telling to this day. Funny what sticks with us, and while that particular Christmas is a little fuzzy to me, what I do recall is the annual ritual of leaving Santa a plate of fresh cookies accompanied by a well chilled martini. Only in San Francisco. 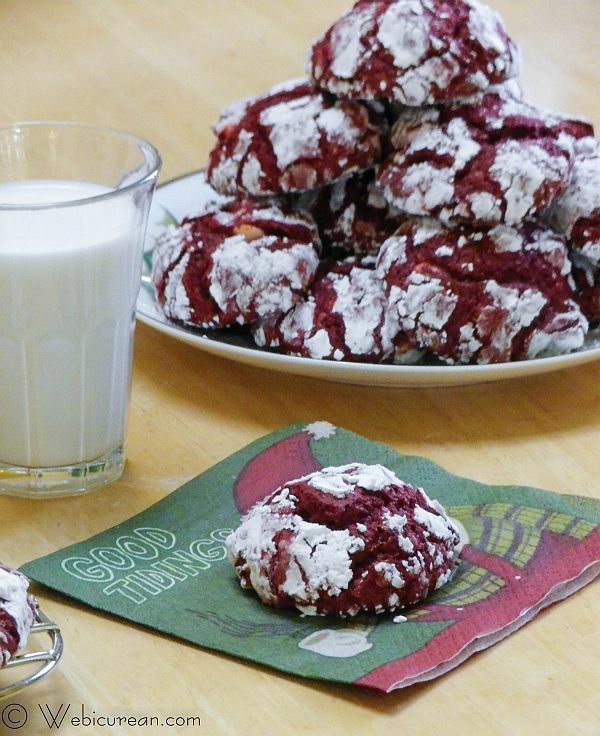 This year Santa’s getting a special treat with his martini–Red Velvet Crinkle Cookies. Here in the U.S., the story of Santa is shaped from the various legends and lore from around the world. St. Nicholas of Myra, the 4th century bishop, was well-known for his gift giving and generosity and was the one who inspired the myriad Santa legends. In fact, many countries continue to honor him on St. Nicholas Day (December 6). Known to the Dutch as Sinterklaas, his name became Americanized as Santa Claus in the Dutch settlements here. Santa lore evolved over the years, but it was early 19th century author Washington Irving who brought him to life in his writings. And it was Thomas Nast’s iconic 1881 illustration for Harper’s Weekly that depicted the image of the modern Santa Claus we know and love (not Coca-Cola, although they did help popularize that image through their ads). 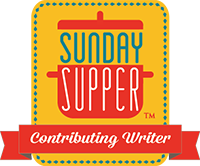 In a small bowl, stir together the powdered sugar and cornstarch, and set that aside. Next stir the remaining ingredients together in a big bowl, adding the vanilla chips last. 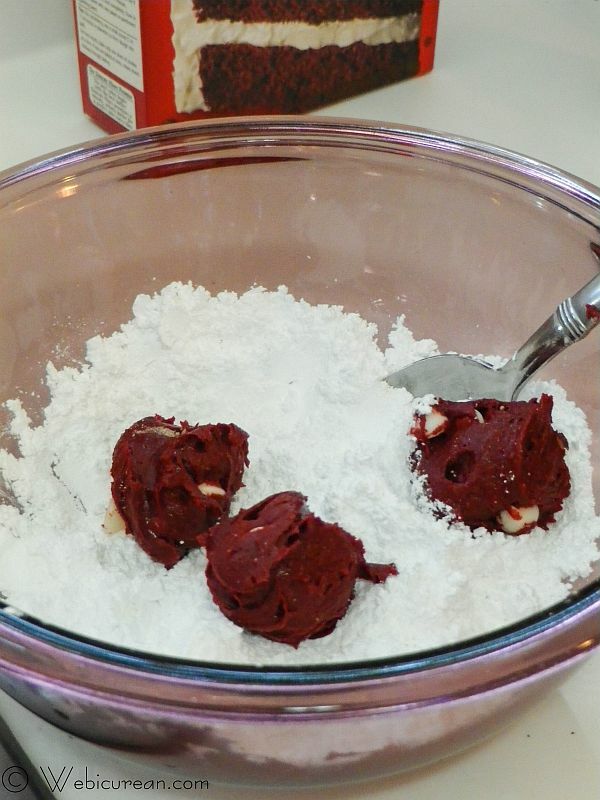 Using a cookie scoop, roll the cookie dough into 1 inch balls, and roll around in the powdered sugar mixture until completely covered. 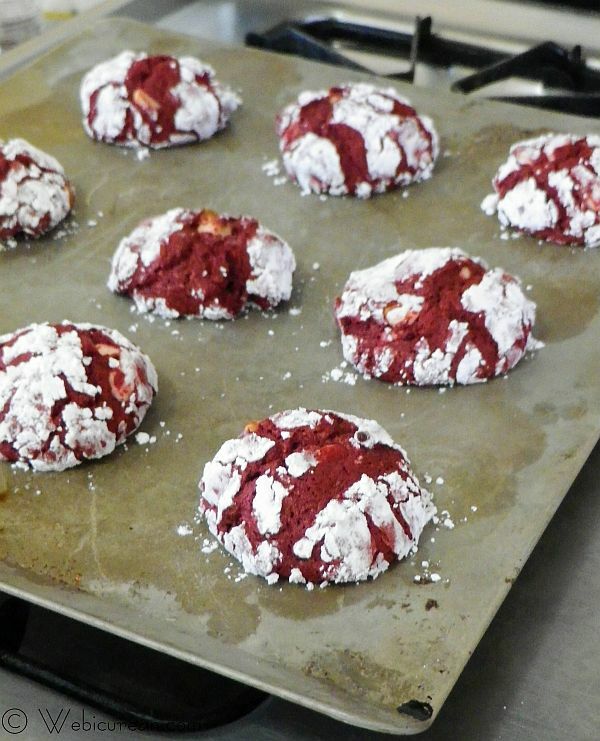 Place the cookies on an ungreased cookie sheet, and bake for about 10 minutes until done. Let these cool for a few minutes before transferring to a wire rack to cool completely. Enjoy with a glass of milk (or a well chilled martini)! 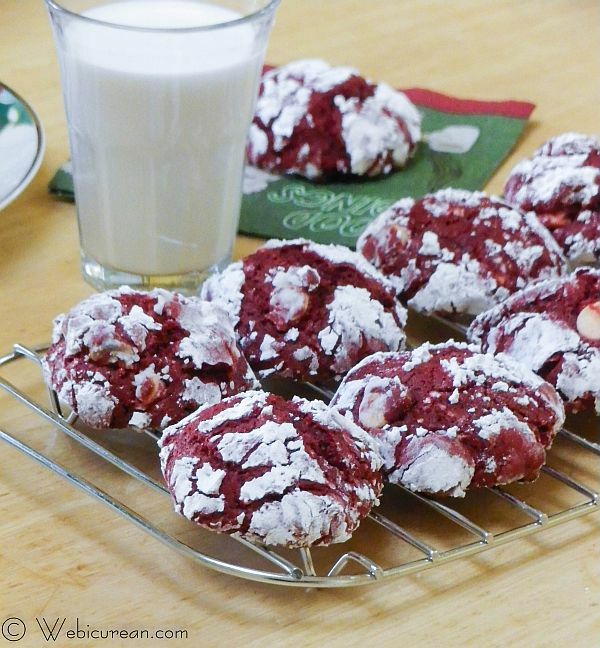 Crisp on the outside, soft on the inside and loaded with vanilla chips, these red velvet crinkle cookies are a treat any time of the year. In a small bowl, mix the powdered sugar and cornstarch. Set that aside. 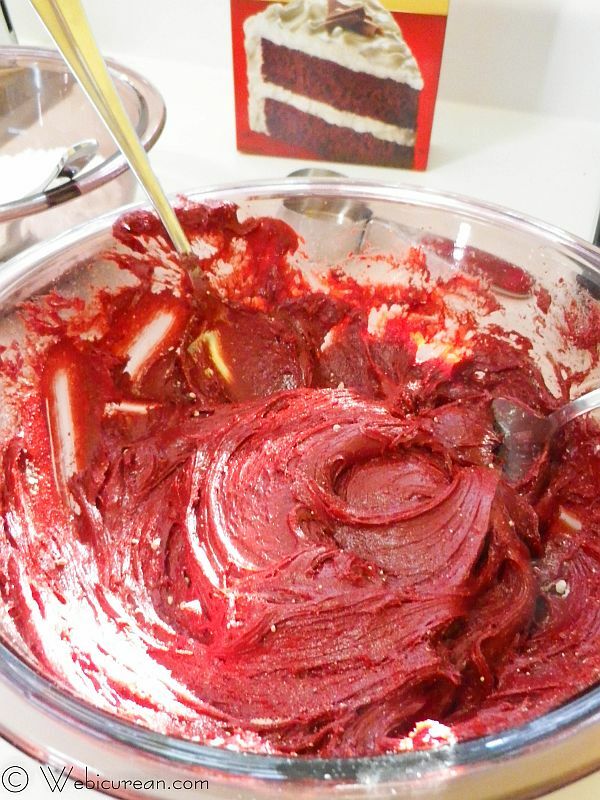 In a large bowl, mix together the cake mix, melted butter, eggs, and vanilla until well blended. Stir in the vanilla chips. 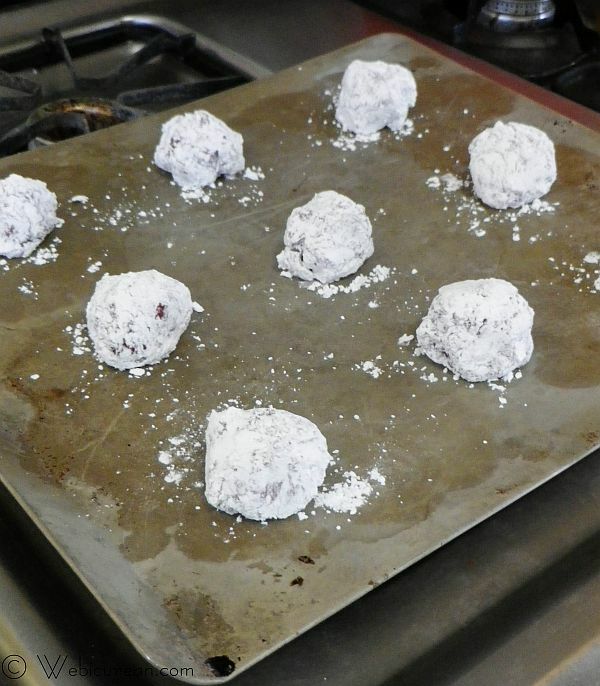 Using a small cookie scoop or melon baller, shape dough into 1-inch balls, and roll in the powdered sugar mixture. Place on ungreased cookie sheets about 2 inches apart, and bake for about 9-11 minutes. Let cool for a few minutes, then transfer to wire racks to cool completely. So excited to bake this. Anyways, can these be frozen?